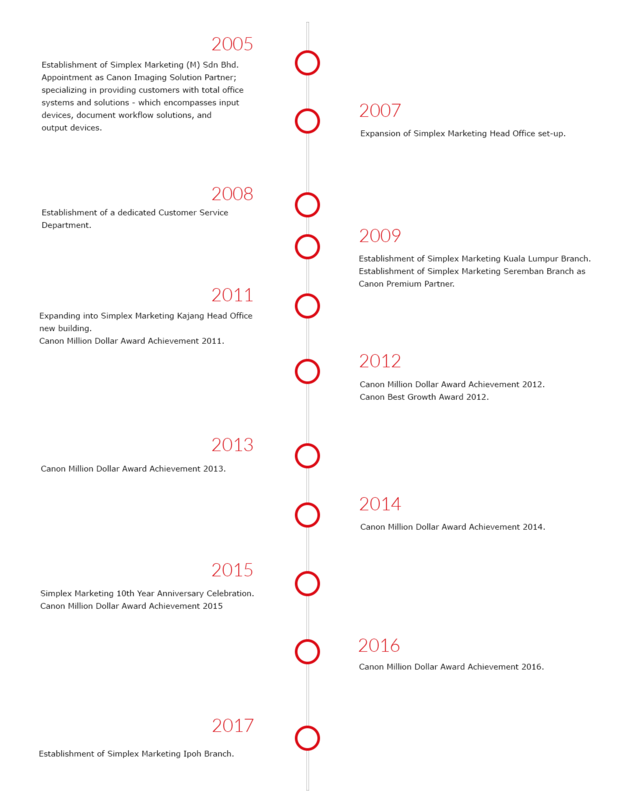 SIMPLEX MARKETING (M) SDN BHD – Established since 7th April 2005, is the appointed Canon Premium Partner specializing in providing Total Office Systems & Solutions – Canon Copier, MFP, Projector, Laser/Inkjet Printer, Large Format Printer/Plotter, Scanner, and full range Canon products. From Hardware input devices, document workflow software, to hardware output devices; we have everything for your business needs. With our ultimate objective to enhance your productivity and workflow efficiency, it is our mission to ensure our proposed system or solutions meet your expectations. With our Head Office in Kajang, Selangor and branches in Seremban (Negeri Sembilan), Ipoh (Perak), and Kuala Lumpur, our dedicated service and technical team covers a wide geographical area, while providing unparalleled support. Our sales and support also covers the whole of Malaysia, including Sabah & Sarawak via dedicated partners. 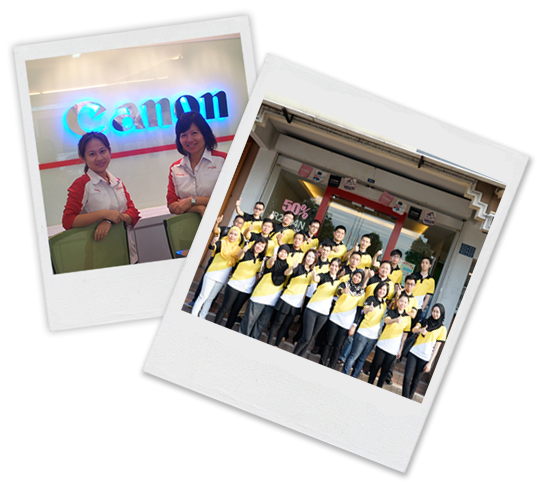 We believe in providing reliable and efficient after sales services; which complies to Canon Marketing (M) Sdn Bhd’s ISO standards. We are your one-stop office solutions provider and total office workflow consultant. Providing you the most effective solutions to maximize costing efficiency. Establishment of Simplex Marketing (M) Sdn Bhd with the appointment as Canon Imaging Solution Partner, involved in providing customer with total office system and solutions; which encompass input devices, documents workflow solutions, to output devices. Expansion of Simplex Marketing HQ office set-up. Established of a dedicated Customer Service Department. Establishment of Simplex Marketing Kuala Lumpur Office. Establishment of Simplex Marketing Seremban Office as Canon Premium Partner.